Champions Linfield have lifted the Gibson Cup for the 53rd time in the team’s history, but they were beaten 4-0 on the day by Glenavon. 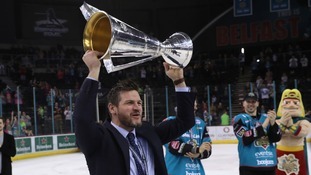 There was late heartbreak for the Belfast Giants in the Playoffs final, but they will have to take comfort from their three-trophy haul. Danny Dyer, Calum Best and Carl Frampton are among celebrities who took part in a football match at Windsor Park in Belfast on Sunday. Linfield have secured their 53rd Irish League Championship with a 0-0 draw at home to Crusaders. 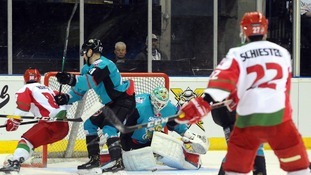 The Belfast Giants took a huge 12-2 aggregate win over Coventry Blaze to reach the Playoffs finals and continue their Grand Slam quest. Ulster took a heavy 30-7 defeat against Glasgow in their last game, but are hoping they can regroup in time to secure a PRO14 playoff spot. Linfield have one hand on the Irish Premiership trophy with four games left, sitting 12 points clear at the top after the weekend’s action. Tiger Roll leads the Irish charge at this year’s Grand National at Aintree and the 2018 winner is the hot favourite to defend the crown.